The Mitsubishi Eclipse Cross is acceptable. Yes, this compact SUV is as bland and underwhelming as that previous sentence implies. Sure, the rear seats are spacious, even for adults. Cabin materials are better than expected from a budget-minded brand. And Mitsubishi’s five-year/60,000-mile basic and 10-year/100,000-mile powertrain warranties are among the longest in the industry. But everything else about the Eclipse Cross fails to impress. Nearly everyone panned the Eclipse Cross for its sloppy handling and tires that squealed excessively on the winding road course. Its muddy suspension seemingly was tuned neither for comfort nor performance. The 1.5-liter turbo I-4 was severely underpowered, and Gordon Dickie found the CVT wasn’t responsive when you put your right foot to the firewall—making the Ferrariesque paddle shifters a mockery. 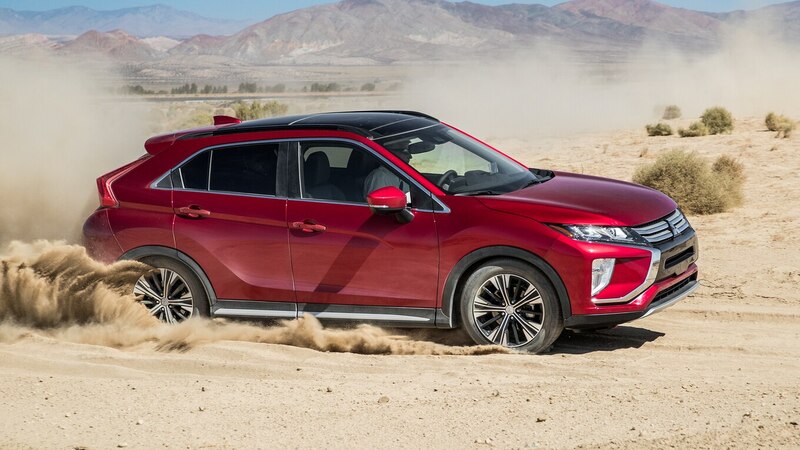 To add insult to injury, the Eclipse Cross was the only AWD-equipped vehicle to get stuck on the silty portion of the off-road course. 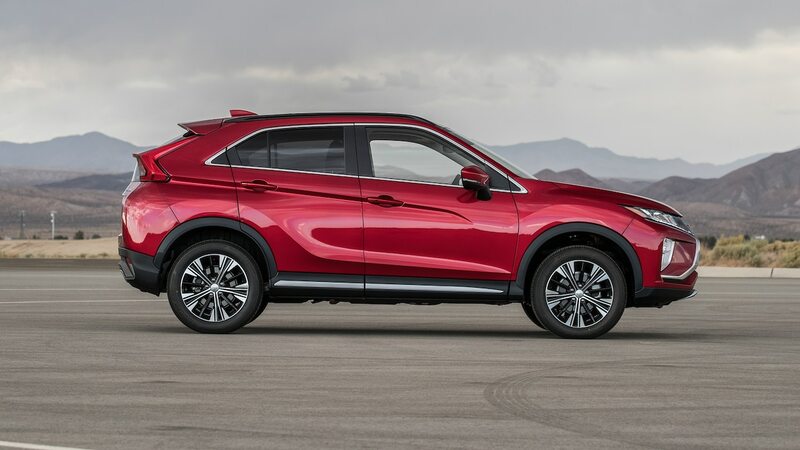 Christian Seabaugh noted that although the all-wheel-drive system did a fine job routing power around, the Eclipse Cross didn’t have enough guts to get out on its own. Inside, the seats were uncomfortable, storage space was scarce, and the bizarre horizontal split rear window impedes vision. And for a vehicle likely marketed to millennials, its infotainment system is awful. Angus MacKenzie thought the touchpad looked glued on, and Frank Markus and Mark Rechtin declared Mitsubishi’s latest graphical user interface one of the industry’s worst. The lack of knobs and buttons made the system a hassle to use. The touchpad was slow to respond and unintuitive, the touchscreen hard to reach from the driver’s seat. Ultimately, the Eclipse Cross is an improvement, but it still lags behind rivals. The post Mitsubishi Eclipse Cross: 2019 Motor Trend SUV of the Year Contender appeared first on Motor Trend.